Palmistry from Russia: the line of influence & the line of Mars! Palmistry from Russia: 'the line of influence'! 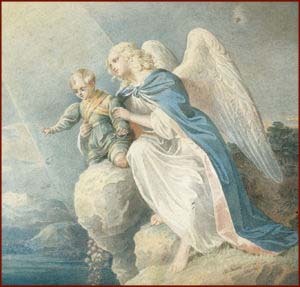 Other variants of 'the line of influence' - which is related to close people - are: 'the Guardian angel line', 'support line', or 'line of Venus'. I study the 'line of influence' for a long time and a lot of time have devoted for its knowledge. About this line it is written very little. At once it is visible, that many authors do not aspire to study something new. Focus the attention only to the known facts, or in general ignore its existence. Do not notice, that it is of great importance in understanding of processes of mutual relations of close people. And now I will acquaint you with the line: these lines arise when influence of close people very big. The length of this line speaks about duration of this influence on the person. PICTURE 1: The line of Mars. PICTURE 2: The long line of influence beginning from a line of life in the early period, speaks about strong influence of one of parents (mother or the father) the given person. As a rule, the 'lines of influence' (see PICTURE 2) designate the personal relation of the given spouse to second half. The more long and more deeply the influence line, the is more long and stronger than feeling to the spouse or the loved one. The person, with such accurate line, sincerely loves the spouse, empathizes, lives for it. Here it is necessary to note the main thing: influence of second half on the owner of this line - huge. If this line is absent or is very poorly expressed, present feelings to second half, the given spouse does not test. He lives with it because of a debt, children, compassion, self-interest. Lives by a principle: better with it, than with anybody. The weak line or its absence, specifies, that marriage in a life of the given person was insignificant event and especially has not affected his life. Such people, often, think of the life, about the career, than about the spouse more. But, it is necessary to understand accurately when this line speaks about feelings to the spouse or the relative and when this line specifies in character of influence of this spouse or relatives for a life of the given person. As in the second case is not love to the spouse or relatives, and a certain dependence on their acts, opinions and desires. To understand, than that it is more in an influence line - love of the given person to the spouse (see PICTURE 3) or its influence (positive or negative) on second half, it is necessary to consider attentively and other lines on a palm (an influence line to the Destiny line, character of a line of Heart, a line of attachments, and so on). The time interval of a line of influence pays off on a parity to a scale of a line of a life. If the beginning of a line of influence on a scale of a line of a life corresponds to the introduction into marriage the given line, almost on 100 %, speaks about feelings to the spouse, about its influence in a life of the given person. In other cases the given line, can specify in influence and other near relations: mother, the father, sister, the brother, the grandfather, the grandmother. From an expert I can tell, that lines of relatives begin, as a rule, from a line of a life and right at the beginning. And the further from the beginning of a line of a life the influence line begins, the likeness from mother and the father to sister or the brother, or to the grandmother with the grandfather and so on decreases. And for definition: who all the same influences: the spouse or other relative - it is necessary to look both other lines, and signs on a hand, to project time intervals on a line of a life and to calculate influence time, and on time of influence and a line arrangement for a hill of Venus, concerning remoteness from the Life line, it is possible to understand: who influences? The spouse or the relative. PICTURE A: A line long, deep - influence huge (feelings to the spouse - strong, present). PICTURE B: The long line of influence beginning from a line of a life in the early period, speaks about strong influence of one of parents (mother or the father) the given person. PICTURE C: The line in the beginning deep, and then becomes hardly appreciable - influence was strong, but then...? (feelings to the spouse were strong and present, but have gradually started to become dull). PICTURE D: The line in the beginning was thin and hardly appreciable, and then becomes deep and accurate - influence gains in strength, becomes stronger and stronger (feelings to the spouse were superficial, but also the love) in due course has come. PICTURE E: The line strong and long starts to leave, in the end, from a life line all further and further - influence gradually vanishes (feelings to the spouse become dull and vanish absolutely). PICTURE F: The line strong and long starts to come nearer, in the end, to a life line - influence gradually amplifies (feelings to the spouse amplify, become bright, mad and passionate). PICTURE G: The line begins strong and long rests, in the end, against the long line going from the basis of the big finger to a line of a life - rupture of relations, because of relatives. PICTURE H: The line strong and long comes nearer, in the end, to a line of a life and crosses it is fanatical love has outgrown in destructive jealousy and as consequence: rupture of relations. PICTURE I: The line strong and long has rupture - partners disperse not on long or partner influence interrupts for a while. PICTURE J: The line long and strong, comes to an end with a star - death of the spouse or the loved one, made the big impact on a life of the given person. But I would not consider here death in literal sense. Often, this unexpected and very painful parting with the spouse, that, as a matter of fact, equally losses of the loved one. PICTURE K: The first line comes to an end, then, with displacement in parallel, the second line begins - on change of influence of one loved one another (feelings to the first loved one (the spouse) have died, and to the second person (the spouse) have flashed with new force) comes. By position of the second line it is possible to tell about quality of influence: the more close the second line to a life line, the feelings to the second person are stronger, its influence is more, and on the contrary. PICTURE L: The line goes a dotted line, breaks and through a small interval begins anew - influence begins and vanishes, again begins and again vanishes (feelings flash and die, then again brightly flash and after a while again die = effect of constant love). PICTURE M: Two lines go is in parallel close to each other - the given person is broken off in feelings between two close people (a classical love triangle = the husband and the lover or the wife and the mistress). PICTURE N: The accurate and small line departs from a life line, in an interval of a long line of influence - in the course of marriage the given person has not long, but a rough novel with the lover (mistress). PICTURE O: The accurate line going from a line of influence through a line of a life - the spouse (loved one) makes strong negative impact on a life of the given person (in some cases, at presence and other signs, can specify and in rupture of relations, on divorce). Negative influence, such line, renders and at crossing of other basic lines: lines of a head, heart, destiny etc. Such line is called as line of an obstacle to something. PICTURE P: Vertical lines on the mount of Venus. Lines on a hill of Venus designate the relations based on mutual aid. Horizontal lines mean hostile intervention of people with opposite installations. Vertical lines mean the relations based on mutual aid. The more vertical lines, the it is more at the person of friends, close contacts to close people, relatives. If such lines are absent, the given person does not aspire to get serious relations, does not become attached strongly to the partner, has no strong link with relatives. The influence line does not need to be confused with internal lines of a life which often name a line of Mars (read further below). In many books of a line of influence often name a line of Mars (see PICTURE 1), and it is not absolutely correct. Though at these lines also is much in common: an arrangement and some properties. And what are the general characteristics? - You ask. The influence line, as well as a line of Mars is a certain support in a life of the given person. The line of Mars specifies in strengthening of a line of a life, health of the person, an internal stock of vital forces. It helps during the difficult periods of a life, rescues from dangers and a hardship. As also accurate lines of influence specify that the person during the lives defined the period has a loved one with strong character on which it is possible to rely which will help with everyday questions, will help to solve many problems, including and problems with health. Here it the line of influence and a line of Mars also are similar. After all knowingly them often name lines of the Guardian angel or support lines. Them often confuse, but, as a matter of fact, in them much in common. Find a Palmist in Russia! Palmistry books about the 'line of influence'! 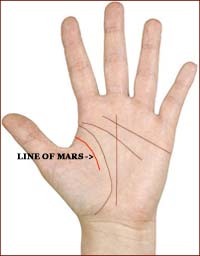 Palmistry books about the 'line of Mars'!